Driving Edmonton’s economic engine is its proximity to and connection with Alberta’s world-class energy and natural resources. The modest signs of economic improvement from the U.S. bode well for Alberta – the primary supplier of U.S. energy. Both Canada and Alberta have placed growing emphasis on increasing exports to Asia – particularly China. Several major pipeline projects are in the review and approval stage providing additional capacity to move oil and gas to market. the supply and service sectors. 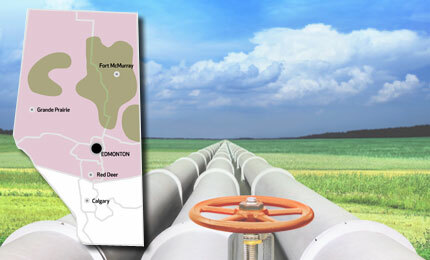 With the Northwest Redwater Partnership in the greater Edmonton area and the Government of Alberta’s value-added processing of key resources, recent research completed by Alberta’s Industrial Heartland highlights that there are strong business opportunities in the processing of petroleum off gases, particularly ethane, ethylene and propylene derivatives. Natural gas offers an important feedstock for Alberta’s petrochemical industry, a key strength in Edmonton’s economy. It also offers a low cost fuel alternative. This, coupled with the potential to produce other derivative products such as ethane/propane and ethylene and propylene, highlights the range of industrial processing opportunities available in the Edmonton area for the near future. Federal government site with a focus on regions including Edmonton. The City of Edmonton became a member of AIHA in January 2010.